Edward Snowden in New York Times: "Change in global awareness" moved Congress to curtail NSA spying power. Edward Snowden, shown here in Hong Kong in 2013, writes in an op-ed that “a change in global awareness” led to the curtailment of U.S. surveillance powers. In an op-ed for the New York Times titled “The World Says No to Surveillance,” former NSA contractor Edward Snowden credited “the power of an informed public” with helping to move Congress to curtail American government surveillance authority. For the first time since the attacks of Sept. 11, 2001, we see the outline of a politics that turns away from reaction and fear in favor of resilience and reason. With each court victory, with every change in the law, we demonstrate facts are more convincing than fear. The USA Freedom Act fell far short of the reforms advocated by some legislators—several Democrats and libertarian Republicans in the House of Representatives had proposed a bill to repeal the Patriot Act in its entirety—and Snowden acknowledged that many of the practices he exposed will be unaffected by the changes to telephone data collection agreed to this week in Congress. Metadata revealing the personal associations and interests of ordinary Internet users is still being intercepted and monitored on a scale unprecedented in history: As you read this online, the United States government makes a note. 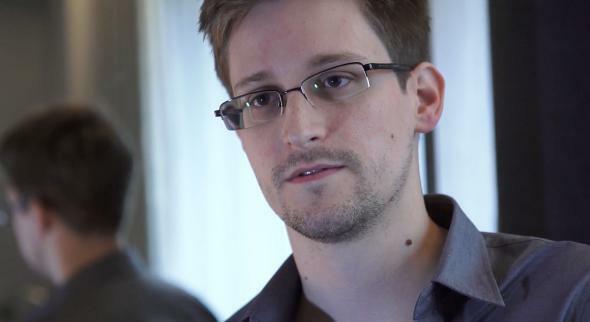 While he praised bodies including the United Nations and the Brazilian government for recent moves in favor of protecting citizens from government surveillance, Snowden cautioned that many are still vulnerable to “the arbitrary passage of anti-privacy laws, such as those now descending upon Russia,” where he has lived since 2013.